Elijah was learning about pangalan pantangi o pambalana (proper nouns and common nouns) and one of the exercises required him to give proper noun examples. When he got to the word “kaibigan” (friend), I thought he would write down names of his homeschool buddies, neighbors, bible study friends, etc. But when I looked over his shoulder, I saw him write down Edan and Titus’ names. Of course, this delighted me. I want our kids to be best friends. And they often say that they are. I think homeschooling has alot to do with it. The boys are together so much they learn to work out their differences, defer to one another, and love one another unconditionally. They also protect and support each other. 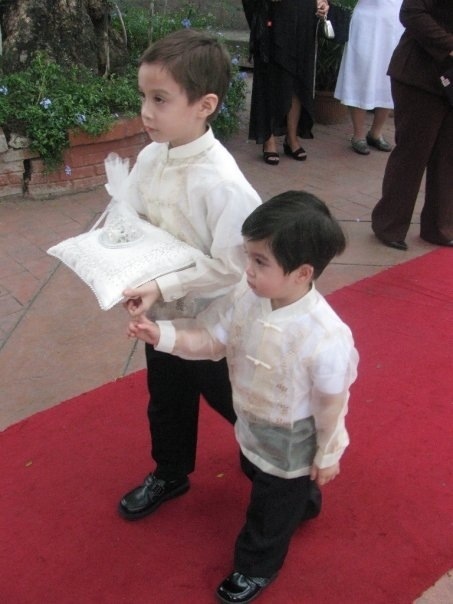 A few years ago, my second son, Edan, was coin bearer at the wedding of some good friends. He must have been close to 4 at the time. 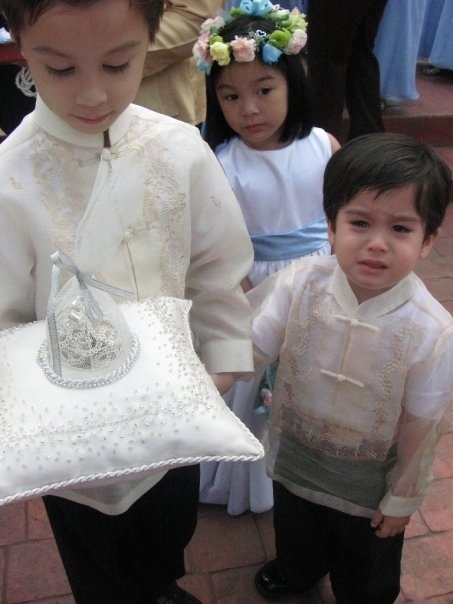 When the entourage was lined up to go inside the chapel, Edan broke down. He was terrified. It was his first time to march down an aisle like this. Elijah, on the other had, was experienced in this area. 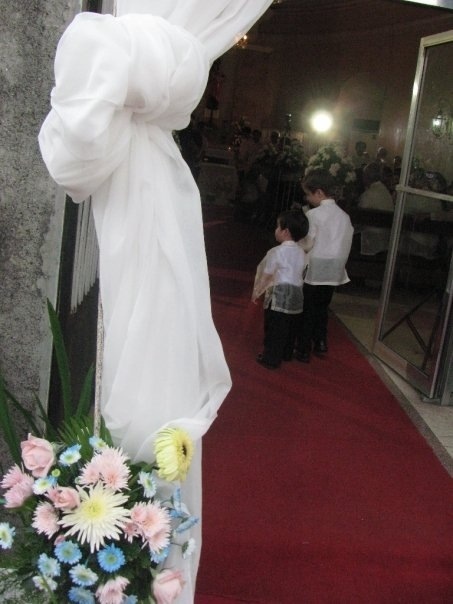 He had been ring bearer, coin bearer, and bible bearer in different weddings. So he said to Edan, “Edan, don’t worry. Just hold my hand. There will be a lot of people and a lot of lights. Just look straight. Don’t be scared.” He held the coins for Edan and let him hold on to his hand. 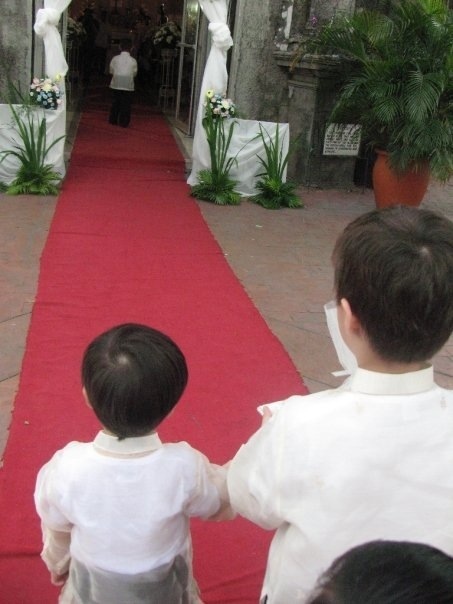 Then they walked into the chapel together. My prayer is that our kids will stay close like this — that God will knit their hearts together. Someday they will benefit from each other’s spiritual support and encouragement to weather the storms of life. At present, they are beginning hold each other accountable for responsibilities like violin and piano practice, or activities like reading the Bible and praying. Awwww…this is such a heartwarming article, Joy! 🙂 Omar and I are planning to homeschool our baby, too! Even when he cries, he’s cute. hee hee hee. Awww! I know, right?! I can’t believe how big he is getting! It’s so touching 🙂 You are so blessed to have such wonderful kids and family and I know that you’re kids are like that because of what you show to them on how much you love them and How much God loves them.God bless you and your family always. Thank you Charisse! Thanks for reading!